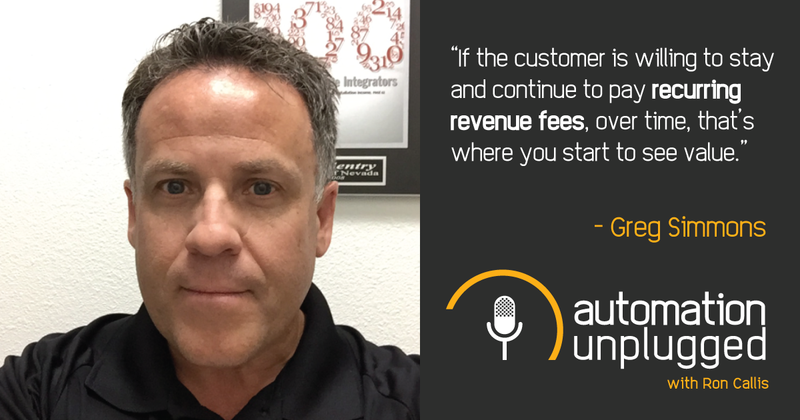 In this Automation Unplugged episode, Ron Callis interviewed Greg Simmons, Co-Owner and Vice President at Eagle Sentry. Eagle Sentry is the 27th largest integrator in the CEPro 100. During the interview, Ron and Greg discussed best practices regarding RMR through security monitoring, reaching out to builders, Eagle Sentry's role in the smart home design for Indy racecar driver Alex Tagliani, and the process of doing a leveraged buyout.